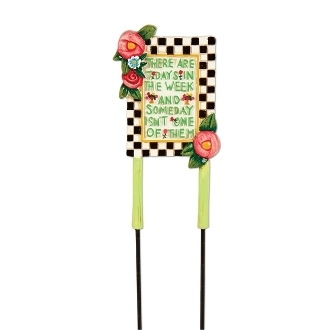 Someday Garden Sign for Merriment Mini Fairy Gardening. Full Description: Add a motivational message to your mini garden with this sign that reads "There are 7 days in the week and someday isn't one of them." Features all-weather paint. Made of resin with metal pick.